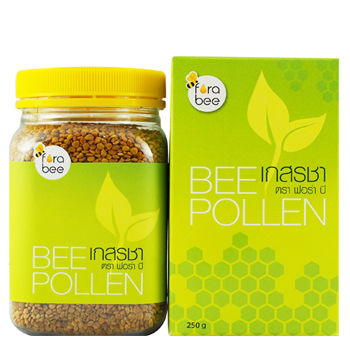 Tea Bee Pollen Is the male seed of tea flowers which has been gathered by the honeybees. This product is a perfect food supplement with a broad spectrum of nutrients; including protiens, vitamin B complex (B1, B2, B3, B6) vitamin E, 28 mineral salts, 18 amino acids and also 18 different enzymes all essentlal for our body. Tea Bee Pollen can be taken straight of a spoon or can be mixed with a glass of water, coffee, tea or milk for delicate taste.